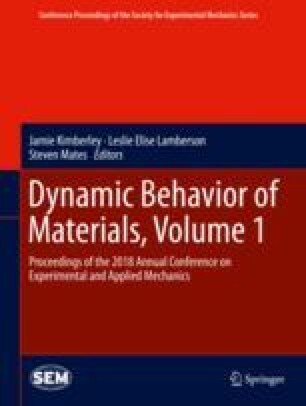 Using developed experimental and analytical methods for in-plane shear characterization of quasi-statically loaded polyethylene laminates, this work seeks to evaluate the effect the in-plane shear behavior has on ballistic performance (resistance to penetration and back face deflection). In-plane shear is a matrix-dominated phenomena and processing pressure is known to influence noticeable changes in the shear properties of polyethylene composites, so by varying matrix materials and processing conditions it is possible to probe an array of configurations. Quasi-static tensile tests of laminates with [±45°] orientation are performed to obtain the in-plane shear properties. To evaluate the ballistic response, a high pressure helium laboratory gas gun is used to accelerate 0.22 caliber spherical steel projectiles toward specimen panels to characterize the V50 ballistic limit velocity and back-face deflection. This research was supported in part by an appointment to the Postgraduate Research Participation Program at the U.S. Army Research Laboratory administered by the Oak Ridge Institute for Science and Education through an interagency agreement between the U.S. Department of Energy and USARL.